Dan Yeager is an actor, art director, writer, producer and director known for his portrayal of the mentally impaired cannibal Leatherface in Texas Chainsaw 3D (2013). In 1980, the Yeager family moved to Las Vegas. There, Yeager joined The Community Drama Workshop and was cast as an extra in one of the growing number of productions filming in that city. While working on the movie, he met the horror genre actor, Robert Quarry, known for Count Yorga, Vampire, and they became friends. In 1985, Yeager moved to Los Angeles. He managed a cabinet shop in North Hollywood for several years. The economy failed and Yeager was faced with dismissing five employees. He realized his own departure would be less painful, so he resigned in an attempt to let the business keep a few of those family men.  Dan Yeager will be appearing at Frightmare in the Falls both days.